Winner of the 2017 Berlinale Panorama Audience award, Belgian filmmaker Philippe Van Leeuw’s IN SYRIA is a gripping tale of an every day family’s struggle to survive in one of the world’s top crisis zones – where a quick trip to the store can mean your last. Trapped inside her flat, family matriarch Oum Yazan has transformed her home into a refuge for family and friends where mundane household dailyness becomes irremovable from the reality of war, as nearby bomb blasts shake the building and machine gun fire, sniper shots, and outside screams ring ever-presently. 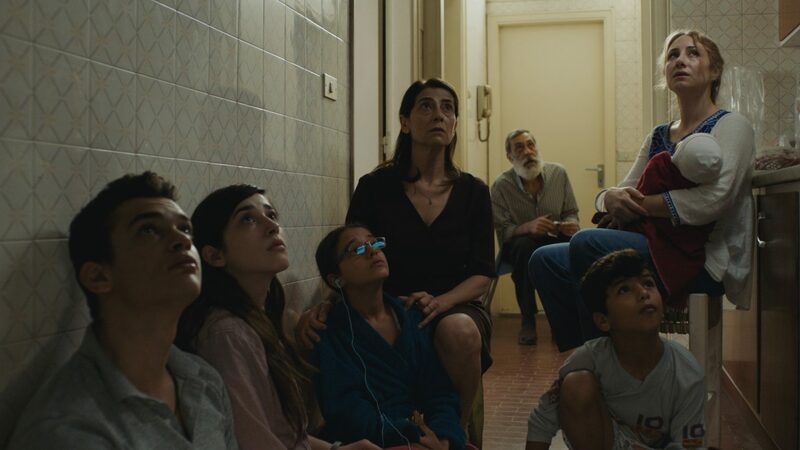 Starring the inimitable Hiam Abbass, IN SYRIA is arguably the single-most important narrative feature on the topic of the Syrian conflict to date. By way of tight interior framings informed by a natural light aesthetic, Van Leeuw crafts an intimate, albeit, claustrophonic rendering of life under siege. Born in Brussels in 1954, Philippe Van Leeuw currently lives in Paris. He studied at the INSAS film school in Brussels and then moved to Los Angeles to study cinematography at the American Film Institute. His first feature as a cinematographer was LA VIE DE JÉSUS by Bruno Dumont (1997). Since then he has switched to directing fiction with THE DAY GOD WALKED AWAY (2009) being his debut feature.